it drives light before it. Photograph by Jaanus Jagomagi via Unsplash. Used with permission. Chief Superintendent Anthony Hetheridge of Scotland Yard, aka the Baron of Wellgrave, has barely recovered from a close personal brush with death. But he’s gotten through it. He arrives one morning at the Yard to find two officers involved in a very loud and very public argument over the conduct of an investigation. One of them is Detective Sergeant Kate Wakefield, who was born and raised in London’s East End, about as far from the privileged life of Hetheridge as you can find. Hetheridge has Wakefield join his investigative team. Over time he learns that she has a mentally disabled brother and a nephew living at home with her, the nephew a gift from a sister serving jail time. The team is called to investigate a particularly gruesome murder in very upscale Belgravia. A man has been beaten to death with a fireplace poker, his face almost obliterated. 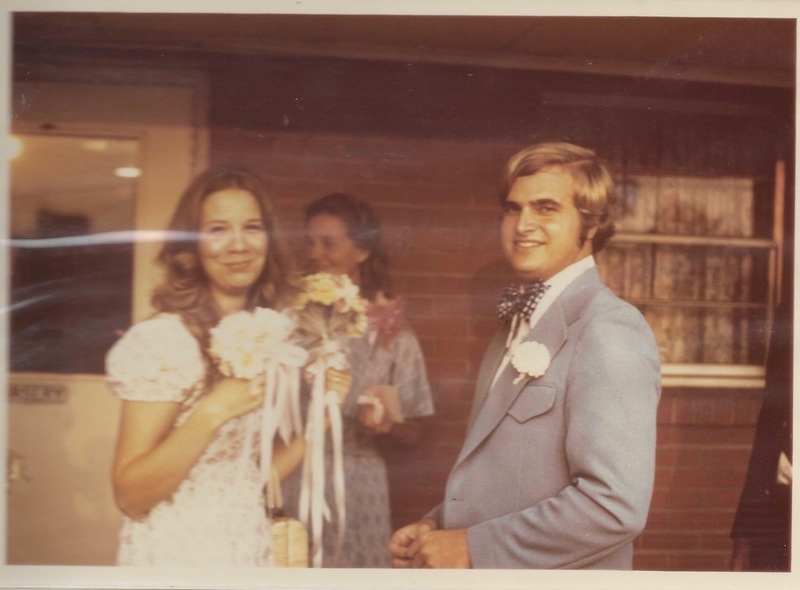 Complicating the investigation is the man’s wife, a former romantic interest of Hetheridge’s. The victim was a rather nasty piece of bad news, hated by almost everyone who knew him. The investigation has no lack of suspects. 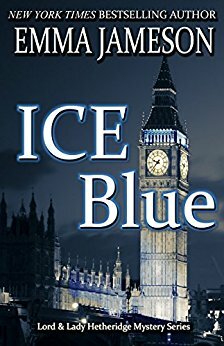 Ice Blue by Emma Jameson is the first of five “blue” murder stories in the Lord and Lady Hetheridge detective series. It superficially resembles the Thomas Lynley and Barbara Havers detective series of Elizabeth George, but the resemblance is only that – superficial. Hethbridge and Wakefield have very different characters than those in the Inspector Lynley series. In addition to the Hetheridge series, Jameson has a second series of novels featuring the amateur detective Dr. Benjamin Bones. The series begins in Cornwall during World War II, and it has a companion series called “The Magic of Cornwall.” Jameson is currently working on the third Dr. Bones mystery. The highlight of Ice Blue is watching the unfolding relationship between Hetheridge and Wakefield as they go about their investigation. They’re attracted to each other but maintain a professional working relationship, with only an occasional slip that surprises them both. 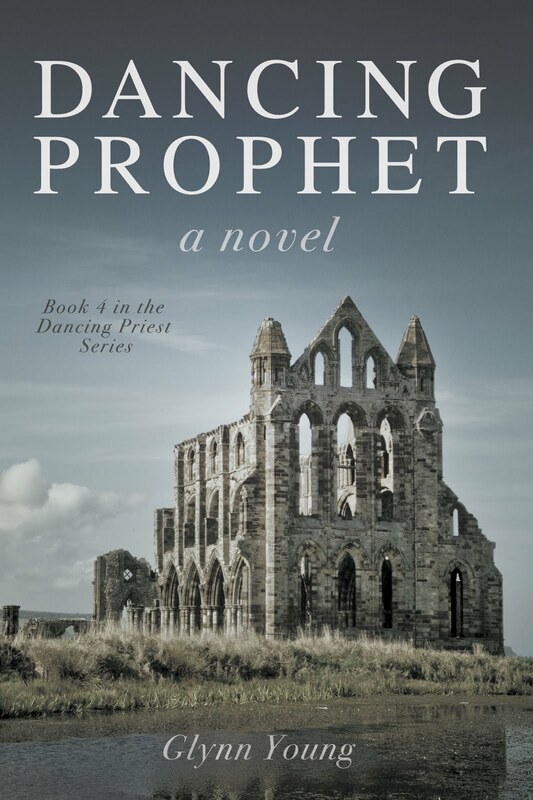 It’s an entertaining read, and I’m looking forward to reading the rest of the series. 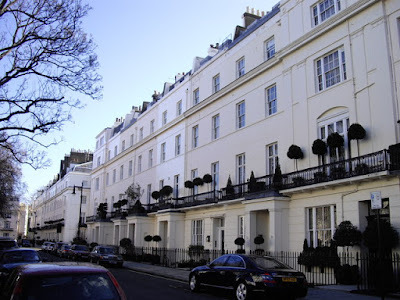 Top photograph: Homes in Belgravia by Paul Farmer via Wikimedia Commons. 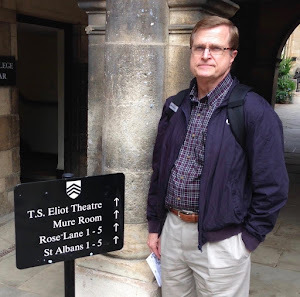 Jack Turner is a gifted amateur historian who’s already making a name with his writings. He’s invited to give a series of lectures by an old professor at his alma mater, Culpepper University in northern Georgia. He jumped at the chance, primarily as a means of getting away from a failed relationship – a surprise rejection and ending by the woman he intended to propose to. Jack begins his lectures, and he also begins to have strangely realistic dreams, as if he’s stepped into World War II military history. One dream involves being on Oahu during the bombing of Pearl Harbor; another is serving as the gunner on one of the planes that formed part of General Jimmy Doolittle’s surprise bombing raid on Tokyo. The dreams are both realistic and terrifying. 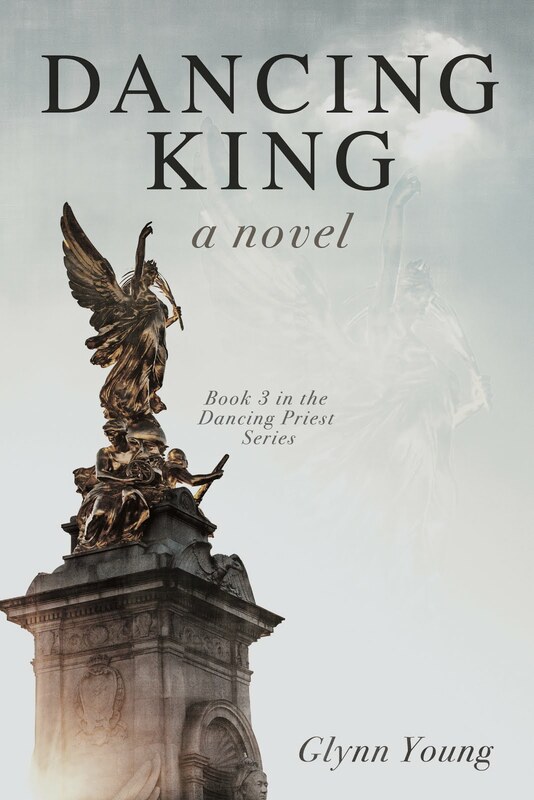 Gradually Jack begins to learn that his dreams may be connected to a student who died in his sleep, ostensibly from a congenital heart defect. And then another student commits suicide. What Jack doesn’t know is that he’s being closely watched by a hit man, who’s also watching Jack’s old professor and Jack’s new romantic interest. 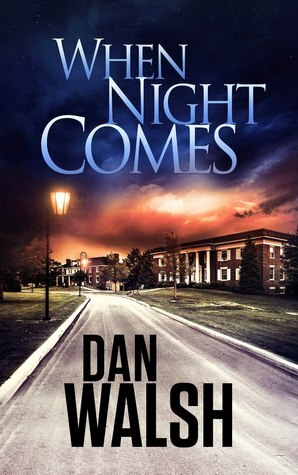 When Night Comes is the first in the Jack Turner suspense series by Dan Walsh. Walsh makes the military history dream sequences as vivid as the general narrative, and we feel Jack’s initial disorientation and then acceptance as much as the character does. I suspect the author is a World War II history buff. When Night Comes, set in a small college town, has just the right combination of suspense, history, and romance to make an enjoyable read. My review of What Follows After by Dan Walsh. My review of Remembering Dresden by Dan Walsh. 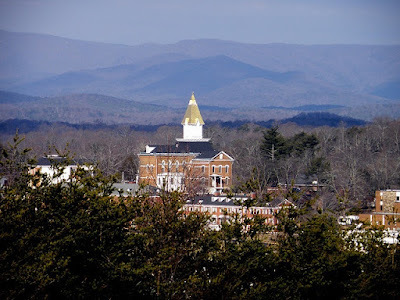 Top photograph: The University of North Georgia-Dahlonega campus, similar to the college inWhen Night Comes. Jonathan Crowe stood on the sidewalk along Buckingham Palace Road, staring at the security entrance for the palace. He glanced at his watch. He was 10 minutes early for his interview with Jay Lanham, head of communications for Buckingham Palace who, at only 30, was already becoming legendary in UK public relations and media circles. Lanham was the communications man for King Michael and had successfully fended off a series of almost brutal public attacks on the king. Lanham, and the king, were looking for a speechwriter. Jonathan was 26 and a reporter at The Guardian. He was five foot ten, with closely cropped hair, a slight beard, and a medium-dark complexion. The only person he had ever written a speech for was himself, and that was for presentations he had made at university. But Lanham had seen Jonathan’s newspaper stories, and had read dozens of them, in fact. During the initial phone interview, Jonathan had been impressed with just how well Lanham had read his stories. Lanham also knew a considerable amount of Jonathan’s background, including his family’s Jamaican heritage, where his parents worked, that he still lived with his parents (a reporter’s salary alone wasn’t sufficient for almost anything in London), and that he attended St. Paul’s Church in Brixton. Lanham had both reassured him and slightly alarmed him when he said that palace security had already done background checks. 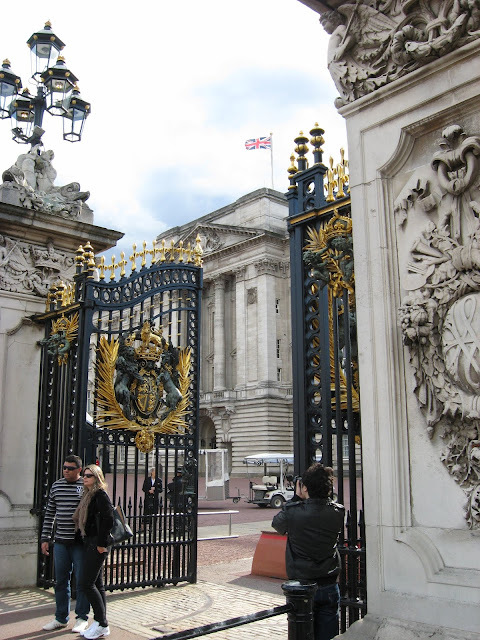 Photograph: A front gate at Buckingham Palace. I was seven years old when a late Saturday night television program called “House of Shock” began broadcasting in New Orleans. It was hosted by a character named Morgus the Magnificent, a mad scientist aided by his two assistants, Chopsley (tall, hooded, and never speaking) and Eric, the talking skull. Morgus showed old horror and science fiction movies in between clips of his crazy experiments, and – to a seven-year-old and his older brother – he was just as entertaining as the movies. One of those movies was the 1931 version of Frankenstein, starring Boris Karloff at the monster. That movie framed the Frankenstein legend in my head for more than 50 years. 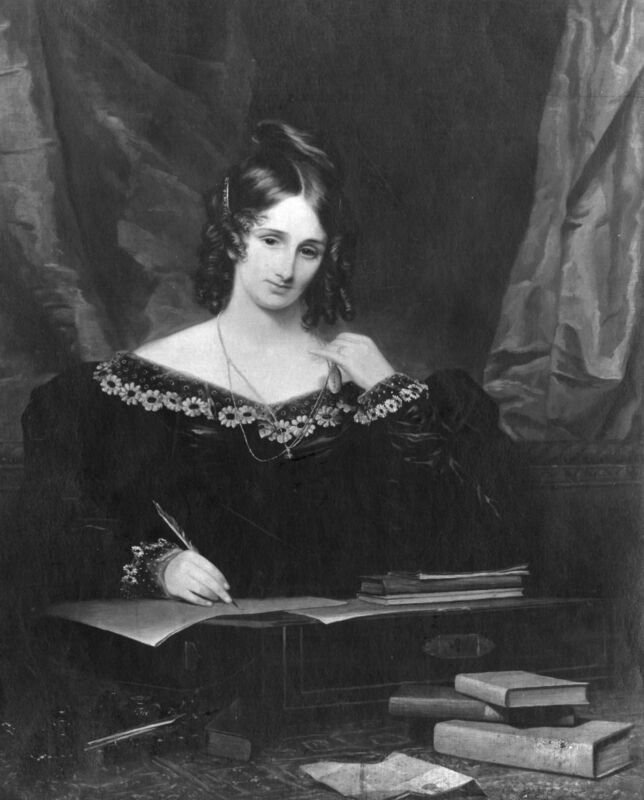 This year, I saw that it was the novel’s 200thbirthday (officially on Jan. 1), and I decided to read the original Frankenstein, or the Modern Prometheus by Mary Wollstonecraft Shelley. Illustration: Mary Wollstonecraft Shelley, the author of Frankenstein, or the Modern Prometheus. 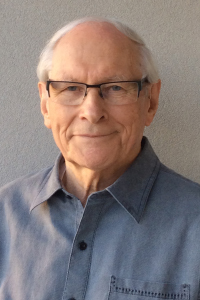 In early 1945, Friedhelm Radandt was 12 years old when he, his mother, and a sister were forced to flee their home in Pomerania, a region south of the Baltic Sea and part of both Germany and Poland. At the time, the area was part of Greater Germany and inhabited primarily by ethnic Germans. Freidhelm’s father was with the German Army in Italy; an older brother was with the Hitler Youth and a related organization and an older sister was working as a governess on a rural estate to fulfill her requirements with the Nazi state. The reason for the family’s flight was the approaching Soviet Army. Nazi Germany was crumbling, with the Americans and British invading from the west and Soviet Russia from the east. In Warsaw, the Job family were ethnic Germans who had considered themselves Poles – until Germany invaded in 1939 and gave them German citizenship papers. Ludwig Job worked for the electronic manufacturer Phillips as a research and developer of radio tubes. Ludwig learns that Polish partisans have placed his name on an execution list, and he’s able to transfer to a research site in Germany. 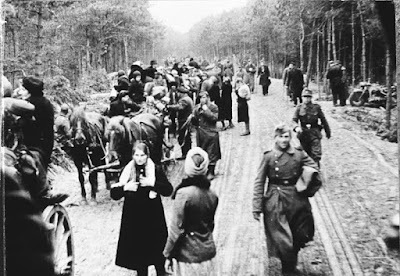 But the family stays in Warsaw, until they, too, face the approaching Soviet armies, which, as the Germans knew, had been given full leeway to take all manners of revenge upon the German population. Friedhelm Radandt’s The Radio Signal is the story of these two families during World War II and immediately after. While they didn’t know each other until well after the war, they had several things in common – their ethnic heritage, living in Poland, becoming part of the German refugee flood that was desperate to escape the Soviets and reach the Americans or the British, and their religious faith. Friedhelm Radandt would also marry Elizabeth Job, bringing the two families and their histories together. 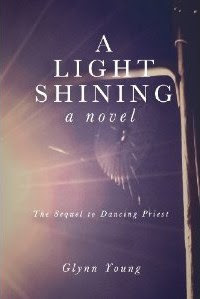 While this is a story of family, The Radio Signal also answers another question – what did practicing, believing Christians do during the Nazi regime? And the answer is rather candidly mixed. They did their jobs; they served in the military. Radandt’s father drew the line, however, at having his sons sent to an elite Nazi training camp, and he lost his job as a result. He solved the unemployment problem by joining the German Army, where the Nazi leaders had less control. And just as everyone else did, they suspected that the Jews were being taken away for evil purposes. Friedhelm and his wife Elizabeth eventually emigrated to the United States. He earned graduate degrees at the University of Chicago. and taught there and at Lake Forest College before serving as president of Northwestern College in Iowa and The King’s College in New York. He is also the author of From Baroque to Storm and Stress 1720-1775: The Literary History of Germany (1977). He now lives in Seattle. 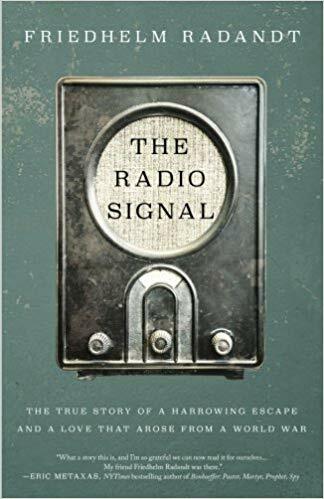 The Radio Signal is an extraordinary story of how ordinary people get caught up in great upheavals, and the choices and decisions they make to save their families. Top photograph: German refugees and soldiers fleeing eastern Prussia ahead of the Soviet troops, February 1945; photo by Bundesarchiv via Wikimedia Commons. 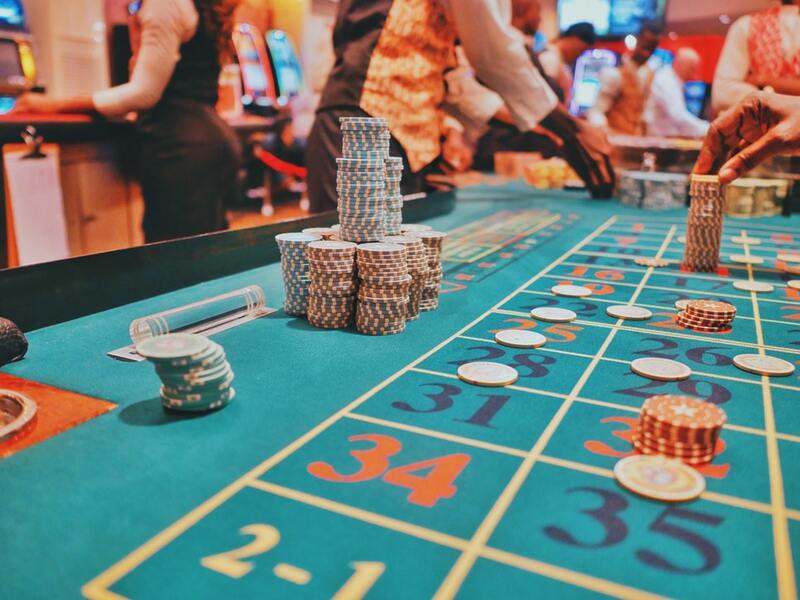 The stakes – huge – are covered. The house rolls and makes the spin. the cards are marked and played. The players win and keep on winning. paying twice what was brought. Photograph by Kay via Unsplash. Used with permission. it seemed to blur on us. We didn’t stay for the revival at 7.
that girl all over again. Every year since 2004, Pew Research has done a “state of the news media” assessment on what’s happening with newspapers, network, local, and cable TV news, and digital news. One finding: daily newspapers are continuing their decline in circulation and revenue. Another finding: viewers and readers are declining across the board, except for radio. He didn’t exactly anticipate social media or the internet, but the late Neil Postman surely anticipated its effects in Amusing Ourselves to Death, published in 1985 (His Technopoly: The Surrender of Culture to Technology, is equally good). Samuel James at Letter & Liturgy applies Postman to social media and specifically Twitter. He’s not encouraged. David Heddedorf at Front Porch Republic writes on radical editorial change at a literary journal. Thomas Schreiner wants Christians about the theological dangers from both the left and the right. An article in The Guardianasks what historical evidence exists for the life and death of Jesus. Thomas Kidd discusses the two main things all of us need from leaders. Nathan Ward at CrimeReads writes about the night Gertrude Stein met Dashiell Hammett. Larnelle Harris sings “Amen.” And more. Raven – Anya Silver via Image Journal. Sophia’s Library – Tim Good at The Naked Alien. The Invisible Man – Joe Spring. What is the historical evidence that Jesus Christ lived and died? – Dr. Simon Gathercole at The Guardian (Hat Tip: J of India). The Spiritual Economy of the Olive Grove – Rod Dreher at The American Conservative. Beware the Theological Dangers on Both Left and Right – Thomas Schreiner at The Gospel Coalition. 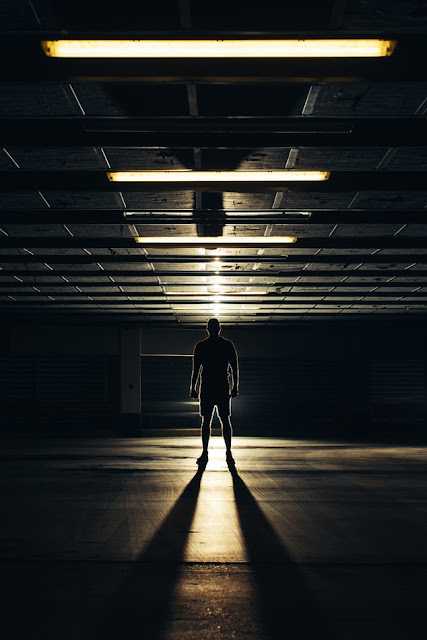 Planning His Escape – Greg Doles at Chasing Light. Doorways to Death – Christianna Peterson at Image Journal. How Do You Know if Your Church is Healthy? – Tim Challies. 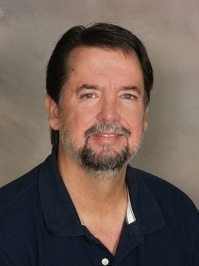 We Call Him Mick – Doug Spurling at Spurling Silver. 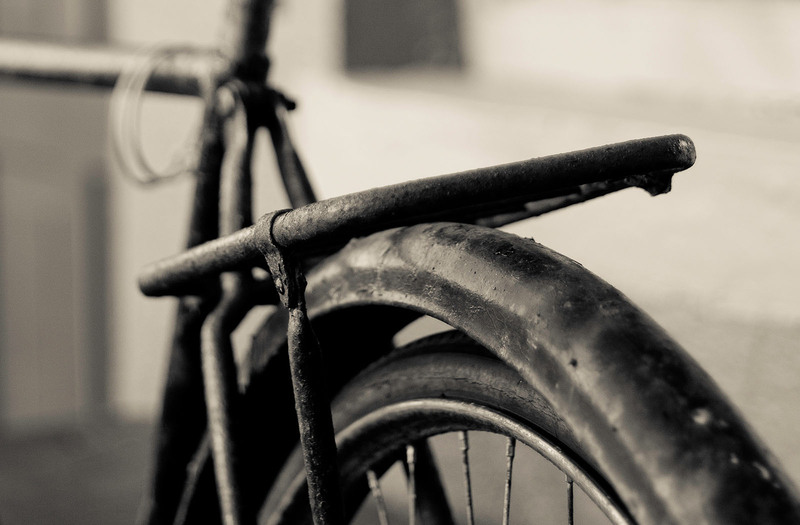 The Two Main Things We Need from Leaders – Thomas Kidd at The Gospel Coalition. 5 facts about the state of the news media in 2017 – Pew Research. Death by Minutia – Samuel D. James at Letter & Liturgy. 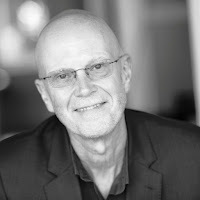 Writing with Style – Andrew Gardner. 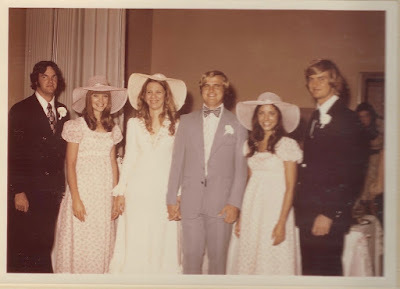 Blowing Up the Bert: The Outside Story – David Heddondorf at Front Porch Republic. How to be a Better Writer: Start with the Right Mindset – Ann Kroeker. The Night Gertrude Stein Met Dashiell Hammett – Nathan Ward at CrimeReads. Jewels in the Night Sea exhibition – The Guardian (Hat Tip: J of India). Predators – Tim Good at Photography by Tiwago. St. Augustine’s, Fading Light, Late July 2018 – Chris Naffziger at St. Louis Patina. 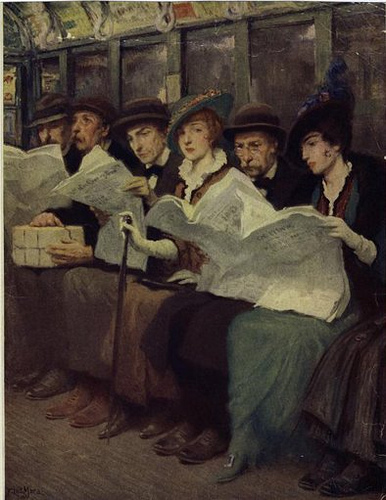 Painting: Subway Riders, oil on canvas by Francis Louis Mora, published in the New YorkSun on Dec. 13, 1914.
a sudden rupture into beauty. 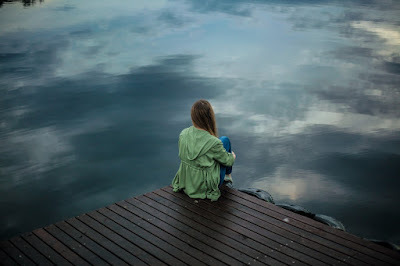 Photograph by Michelle Ivani via Unsplash. Used with permission. It is late in World War II. Colonel St. Cyres and his daughter Anne live in Devon, and his son is in a Japanese prisoner-of-war camp in Burma. His daughter-in-law June and the five-year-old grandson live with them; while she much prefers London and its nightlife, even in wartime, she can’t afford to live there. So, she spends much of her time sulking and complaining about there being nothing to do. The colonel’s estate includes an empty cottage and a small amount of land. June tries to convince him to let one of her London friends, a flashy speculator-type, rent it. The colonel is suspicious, however, and rightfully so – the friend is scouting the area to acquire property for a gold course. Instead, he rents it to an invalided Royal Navy man, hurt during the war, who is both resourceful and well experienced at restoring the cottage and operating a small farm. A few months later, the renter dies in a fire that destroys the cottage. The coronor’s jury returns a verdict of accidental death, with the fire likely caused by faulty wiring or a problem with the chimney. The victim’s former commanding officer, however, is dissatisfied with the verdict, and is able to get Chief Inspector Macdonald of Scotland Yard involved in investigating what might have really happened. Fire in the Thatch by E.R.C. Lorac is the story of Macdonald’s investigation. First published in 1946, it has been republished in the British Library Crime Classics series and includes an informative introduction by mystery writer Martin Edwards. 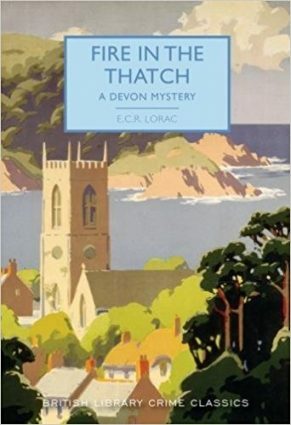 Lorac (1894-1958) is relatively unknown today, but she was one of the lights of the Golden Age of Mystery in Great Britain and a member of the Detection Club, which included such mystery writers as Agatha Christie, Dorothy Sayers, and G.K. Chesterton (Chesterton was the first president). Her real name was Edith Caroline Rivett, and she was one prolific writer. 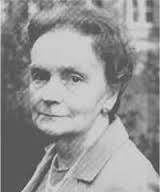 She published some 49 mystery novels under the Lorac pen name (most of them Chief Inspector Macdonald mysteries) and 23 under the pen name of Carol Carnac. 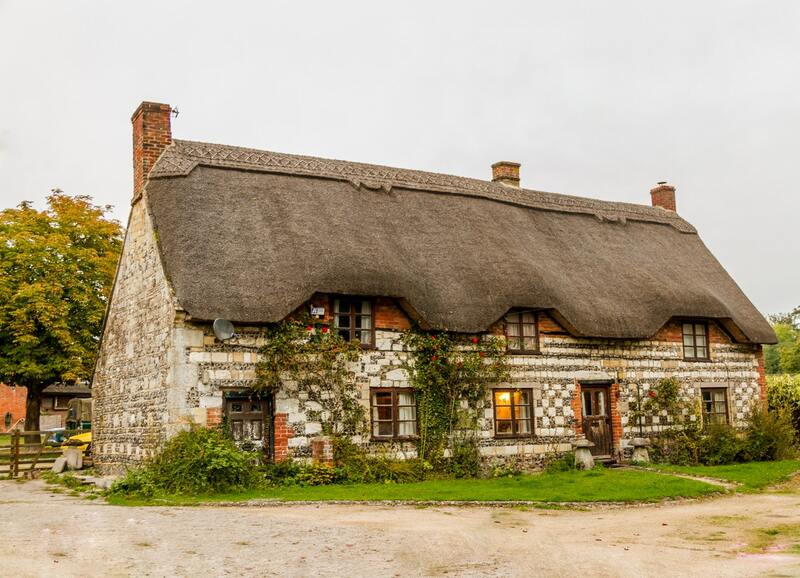 Fire in the Thatch tells a great story, with suspects abounding and little seeming to be as it appears. But Chief Inspector Macdonald is dogged and relentless, and he will eventually learn the truth and find the killer. Top photograph by Richie Valens via Unsplash. Used with permission. He’s not this specific, but “religion” can be defined far more broadly that “faith traditions” or “denominations” and include any kind of belief system around which an individual organizes his or her life. In this short but impactful book, Sproul focuses on the heart of theology, or study of God. His observations and insights reflect his study and understanding of the Bible, including both the Old and New Testaments. 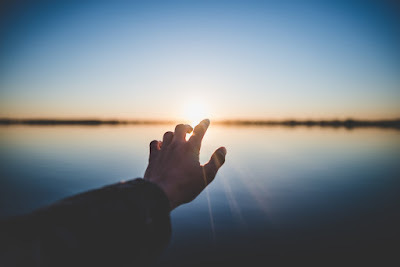 He considers the idea of the “oneness” of God, the trinity, the two types of attributes – incommunicable and communicable (there are indeed many things about God we don’t and can’t know), the will of God, and the idea of providence. This is a God-centered understanding as opposed to a man-centered understanding; Sproul does not put man as the lens for trying to understand God. And what better source of a God-centered understanding can you find but the Bible? 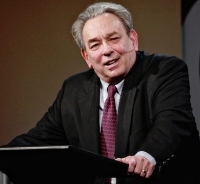 Until his death in December of 2017, Sproul led Ligonier Ministries, based in Sanford, Florida. He wrote numerous books, articles, sermons, and speeches on Christianity, church history, theology, Calvinism, Reformed theology, and related topics. The Crucial Questions series includes some 30 topics which are free as eBooks, and this volume is a part of the series. Understanding God is a crucial question for faith, but it is also a very basic question. As What Can We Know About God?demonstrates, our understanding begins and ends with limitations. But that doesn’t mean there is much that can be taught, and much that can be learned. What is Repentance? by R.C. Sproul. Can I Have Joy in My Life? by R.C. Sproul. What Do Jesus’ Parables Mean? By R.C. Sproul. How Can I Develop a Christian Conscience? by R.C. Sproul. How Should I Think About Money? by R.C. Sproul. Does Prayer Change Things? by R.C. Sproul. What is the Church? by R.C. Sproul. How Can I Be Right with God? by R.C. Sproul. Are People Basically Good? by R.C. Sproul. Top photograph by Marc-Olivier Jodoin via Unsplash. Used with permission. Labels: book review, Crucial Questions, R.C. 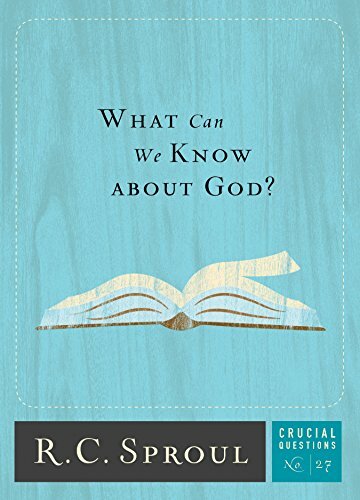 Sproul, theology, understanding of God, What Can We Know About God? What Do You Do in the Calm After the Storm? For months, it’s been days and weeks of intense writing, rewriting, editing, re-editing, adding to, and subtracting from. I thought novel #4 would be a relative slam dunk, since large chunks of it have existed for more than a decade. All I had to do was add a few thousand words and polish it up, and then it would be ready, correct? What finally emerged as a completed manuscript draft bears little resemblance to the text I started with. The story idea remained the same, but along the way a supplementary narrative was added, characters changed, new conflicts emerged, and the original text was rewritten at least three times. Then it was editing and proofing and fact-checking. 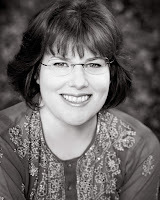 To continue reading, please see my post today at the ACFW blog. Photograph by Keenan Constance via Unsplash. Used with permission. In 1934, T.S. 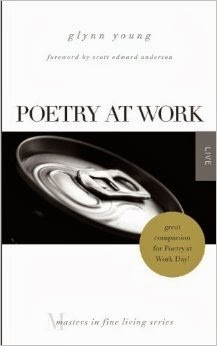 Eliot worked with the produced E. Martin Browne to produce a verse play called The Rock. If the idea of a verse play or verse drama sounds strange, it’s how plays have been written for most of human history. The famous tragedies of ancient Greece are verse plays, as are the plays of William Shakespeare. Eliot and Browne wrote produced the play, and it was successful enough that they were asked to write one for the Canterbury Festival in 1935. Eliot chose the murder of Archbishop Thomas Becket by agents of Henry II in 1170 as the play’s subject. He relied heavily on the account of the murder by Edward Grim, a clerk from Cambridge who was at Canterbury Cathedral on the night of December 29 when the murder occurred. Grim’s account of Becket’s death is a short one, included in his biography of St. Thomas published some 10 years after the event. But Grim was there, and it was an eyewitness account. 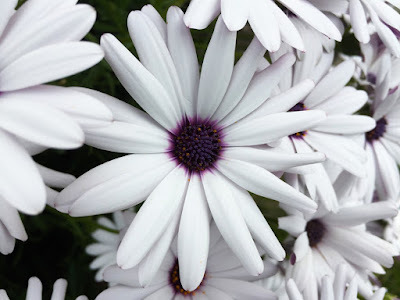 Photograph: T.S. 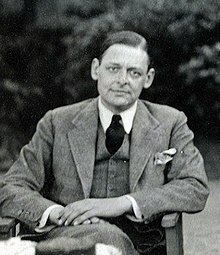 Eliot in 1934, shortly before writingMurder in the Cathedral. Frankie (short for Francesca) is a late-20-, early-30-something woman who lives in contemporary Wales. She has two children and a rather worthless husband. We meet Frankie as she is considering, and coming very close to, earning desperately needed money by becoming an occasional prostitute. She doesn’t quite get there, fortunately. Her much older friend Tony, orphaned as a baby and adopted into Frankie’s family, knows what she’s been up to and admonishes her. Tony isn’t as old as her parents but he’s considerably older than Frankie, and he’s a kind of loving uncle. Chiara is a teenager living in Italy, at the time of Mussolini’s consolidation of power in the 1920s and early 1930s. Enrico, a man from their village, has returned from England, where he’s been making a good living for himself and is seeking to employ a young person to help him. 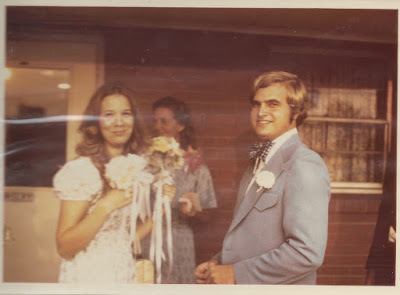 Eventually, he’s hoping this young person might become his wife. Chiara, seeing little in the way of work in her hometown, heads to England as well. Once she arrives, she learns things have changed: Enrico has lost his job and has decided to start his own business in Wales. What these two women have in common is their Welsh-Italian background and the fact they both keep a journal. Slowly we come to understand that two women, generations apart, are writing their journals to each other, even though they don’t know of each other’s existence. But their lives are inextricably connected, and we don’t see all of the connections until the very end of the story. 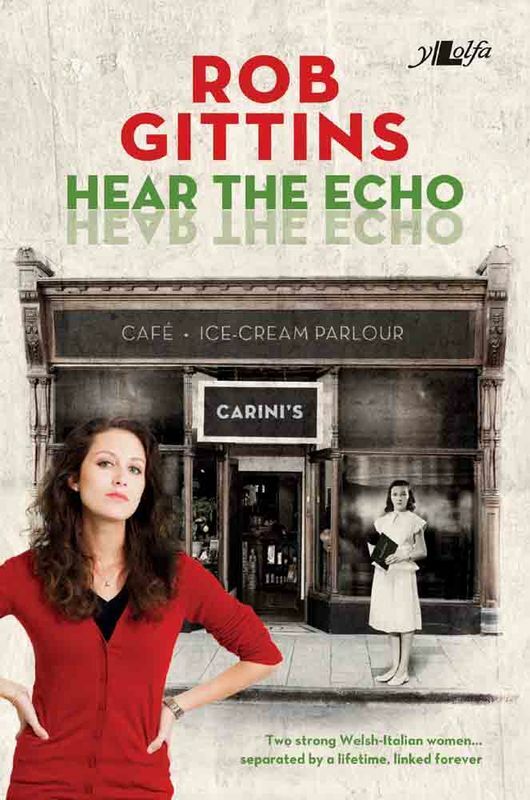 Hear the Echo by novelist and screenwriter Rob Gittins is a fascinating story of personal history, how it intersects with national and international events, and how Italian emigrants to the U.K. navigated the culture, the internments of World War II, and their own family dramas. 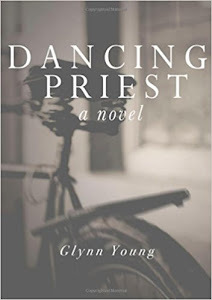 Hear the Echois family saga, contemporary novel, and more than a little mystery all mixed together in a moving, satisfying, and ultimately tender read. 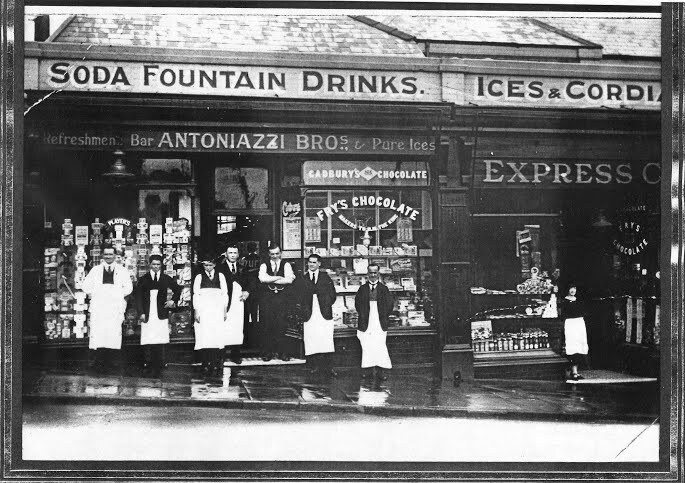 Top photograph: An Italian store in Wales about 1930.